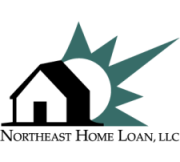 About Us | Northeast Home Loan, LLC. Northeast Home Loan partners with Loan Officers and mortgage providers throughout New England, offering a wide range of home financing options, interest rates and terms to find the best home loan to fit a borrower’s individual needs. We process residential mortgage loans for home purchases and refinances in Vermont and New Hampshire for Passumpsic Savings Bank of St. Johnsbury. If you are looking for a local home mortgage lender anywhere in New England, please call us at 877-757-7815 toll free or e-mail us at nehl@northeasthome.com. Additionally, we support both lenders and mortgage brokers with exceptional service and pricing. If your firm originates mortgages and you wish to talk with us about our offerings, please call Andy Hadden at 603-256-8515 ext. 3522 or e-mail at ahadden@northeasthome.com. Northeast Home Loan, a wholly owned subsidiary of Passumpsic Savings Bank, was formed to provide timely, efficient and professional mortgage banking operations to selected community based mortgage originators and lenders in New England. Since its inception, Northeast Home Loan has partnered with mortgage banking firms to provide a wide range of home financing options, interest rates and terms to homeowners throughout the region.